Prince Harry and Meghan Markle have already broken royal protocol during their first official joint appearance together. 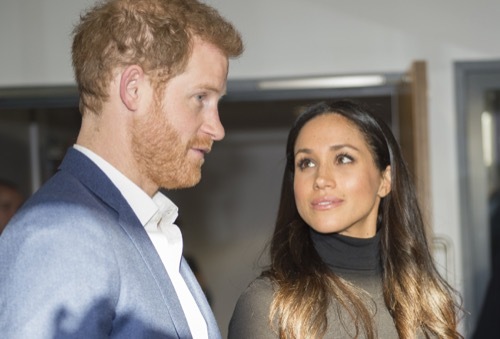 The royal couple, who just announced their engagement earlier this week, held hands at the Terrence Higgins Trust World Aids Day charity fair in Nottingham, England. The crowds went wild when they spotted Prince Harry and Meghan Markle at the event and what’s more, they were quite surprised to seen them show off such a public display of affection. After all, Harry’s brother Prince William and his wife Kate Middleton almost never hold hands or even touch each other in public. It’s an unwritten precedent that has been set by Queen Elizabeth herself. Her Majesty has never held hands with Prince Philip in public. The Duke and Duchess of Cambridge were taught to follow the Queen’s lead by never holding hands, kissing or showing any form of affection during their royal engagements. Well it looks like Prince Harry might have not gotten that memo or he’s simply showing the world that he’s going to do things his way, regardless of what anyone has to say about it. What’s more, many royal observers have also noted how Prince Harry and Meghan Markle’s body language differ from that of Prince William and Kate Middleton’s. 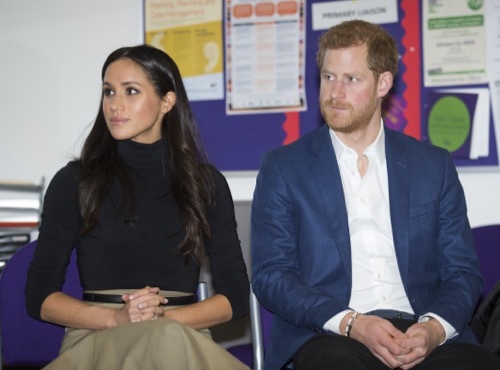 It’s safe to say that Harry and Meghan are very much in love and in tune with each other’s needs. They are also not afraid to show the world that they are a team and that they are very protective of each other and their relationship. With that being said though, no one knows if Prince Harry will continue to break official protocol by doing things that are against the royal rulebook, especially after he and Meghan get married next year. In the meantime, don’t forget to check back with CDL for all the latest news and updates on Prince Harry and Meghan Markle’s engagement along with the rest of the royal family right here.